Storm damage can happen any time of year, but during the winter, the effects of storm damage can be particularly brutal. Heavy snow and ice can lead to roof damage that might ruin the structural integrity of your home and cause leaking. Strong, bitter winds might cause fragile trees to collapse. Here at SERVPRO of Hackensack / Little Ferry we’re committed to help keep this community safe. We understand how challenging it can be to deal with storm damage. As a leader in the restoration industry, we’ve been helping homes and businesses in this area for over 10 years. We have the advanced training and equipment needed to get your life back to normal as quickly as possible. Winter storms can quickly create hazardous conditions, such as collapsing roofs or damage to your windows and/or walls. Leaking can cause water damage that can ruin carpeting, furniture, and building materials, leading to an environment full of potential dangers. While it can be tempting to want to rush in and save what you can – don’t forget that your first priority is to stay safe! Be sure to shut off the main gas line if you smell gas, and be on the lookout for slippery surfaces, exposed nails, broken glass, and other possible hazards. If you decide to enter the affected area, you’ll probably want to wear protective clothing and slip-resistant shoes. Depending on the extent of the damage, it may even be necessary to arrange an alternate place to be while your property is being restored. Contact your insurance provider as soon as you can to notify them of the damage. Your insurance company will send an adjustor to check on the state of the damage and determine payments for repairs. 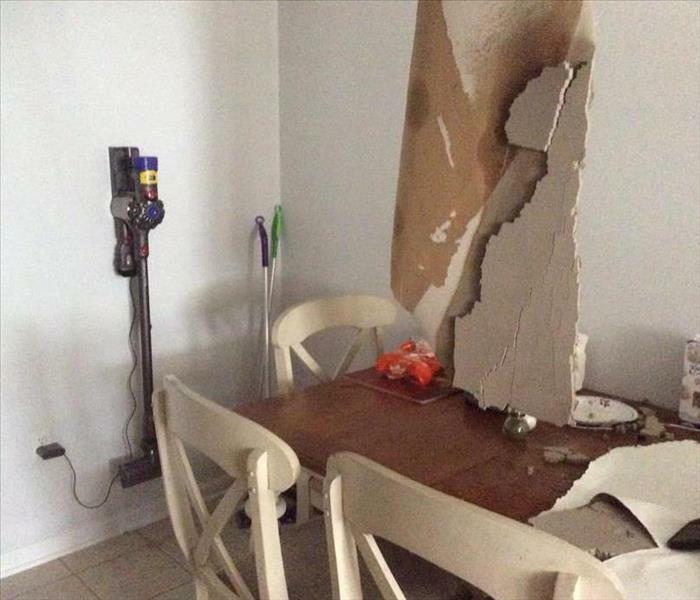 Here at SERVPRO we’ll even work with your insurance provider to help you process the claim. Just let us know when you call! If it is safe to move around or near the affected area, try to photograph the damage so that you have an additional record of evidence for your insurance company. This can help make sure you will be fully compensated. When a severe storm hits, it’s a good idea to call for professional restoration services as quickly as you can. Your restoration services will begin with the basic tasks of inspecting your property and securing it to make sure it is safe. The damaged area will then be thoroughly cleaned and sanitized and restored as soon as possible so you can hurry up and get back to normal life. If you’re a cautious homeowner, you want to take smart measures to prevent fire damage to your home. In the 21st century, there are new Smart technologies for your home that can make these preventative measures easier than ever to manage. You can set up these cutting-edge fire detectors so that they will automatically send an alert to your smartphone if the temperature reaches a certain point or if there’s a sudden rapid rise in temperature. These devices can even be connected to your centralized security system for greater precision and control. You can also get Smart alarms that detect smoke or carbon monoxide. Some of these devices will even shut down your HVAC system if smoke is detected to prevent further complications. If you connect these devices with a Smart security system, they can also automatically alert the fire department in case of emergency, no need for anyone to have to dial 9-1-1. These are outlets that you can turn off remotely using an app on your smartphone. This can be good protection in case you’re worried you forgot to shut off lights or appliances. Some of these outlets can even be controlled by voice commands when you are home, so that you can turn off electricity even from another room. If you’re the kind of person who has a tendency to forget to change the batteries in your smoke alarms, you may want to invest in Smart batteries. Most of these batteries are compatible with multiple kinds of alarms and detectors, and they will send you an alert when the battery gets low. Kitchen fires are a leading cause of fire damage to homes. These Smart devices can help prevent such fires by automatically turning off the oven or stovetop. These Smart devices are typically motion sensors that are installed to a kitchen cabinet. If you leave the kitchen, the device will start a timer, and if you don’t return before the timer counts down, the device will automatically shut off your oven. All this 21-st century tech can go a long way to helping you keep your home and family safe. If, however, you do experience water or fire damage, know that SERVPRO of Hackensack / Little Ferry is always here to help. We have all the advanced equipment, training, and knowledge needed to restore your property ASAP. Many people know that Fall and Winter are the most common seasons to experience fire damage, with the hazards posed by candles, fire places, wood burning stoves, etc. So, now that Spring is finally here, it’s tempting to want to let your guard down. Unfortunately, this can sometimes lead to disaster. Here at SERVPRO of Hackensack / Little Ferry we know that fire prevention safety is a year-round requirement. 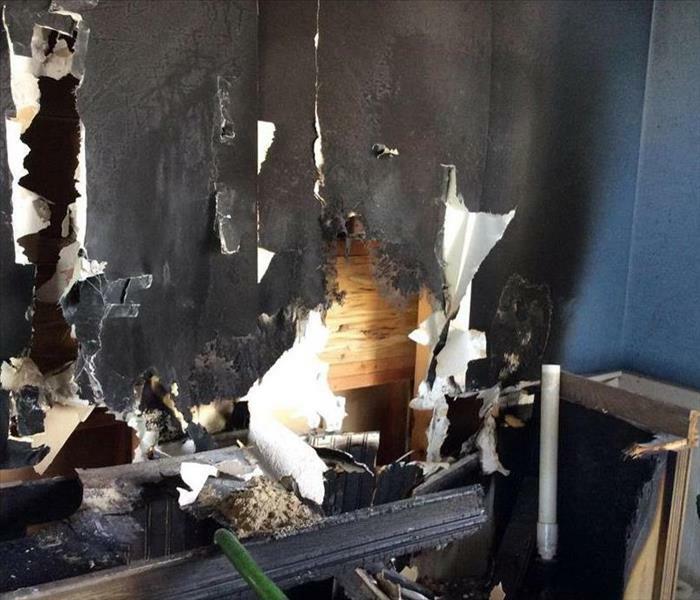 We pride ourselves on bring fire prevention leaders in this community, so we want to remind you that fire damage can happen any time, sometimes when you least expect it. Not plugging multiple chargers into one outlet – this helps prevent overload. Always using the correct charger for each electronic device. Always following the manufacturer’s instructions when charging. Removing the device from the charger once it’s fully charged. Unplugging your chargers when they’re not in use. Some hoverboard models have been known to suffer from battery explosions due to lithium-ion batteries that have a potential to overheat. In order to keep your hoverboard safe, you want to make sure to charge it properly, following the charging advice suggested above. Always make sure to follow the manufacturer’s instructions when using your hoverboard. If you’re trying to break an unhealthy addiction to smoking, e-cigarettes may be an important tool to help you stay nicotine-free. As the weather gets warmer, you may want to stay outdoors longer with your e-cigarettes – just make sure to stay fire safe! E-cigarette fires are often the result of battery problems – make sure you only use the batteries and charger that have been designed for your e-cigarette model. In addition, it’s recommended to only use the designated accessories, as accessories from other manufacturers may not actually be compatible with your model. Making sure not to overload your electrical outlets, including paying attention to how much you load any given extension cord. Looking for any frayed or damaged electrical cords, which should be replaced. Not using any electrical outlets that may be damaged. These tips and suggestions can help you keep you and your family safe from fire damage this Spring. 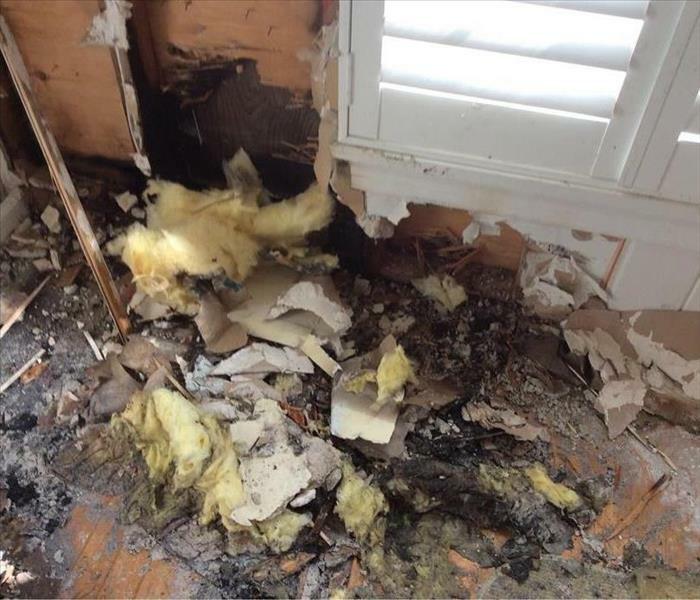 And, if an unfortunate accident should occur, know that SERVPRO of Hackensack / Little Ferry is always available to help with any fire damage issue large or small. We have all the advanced training and equipment needed to help restore your home to normal as quickly as possible. Having a fire in your home is a devastating and traumatic experience. 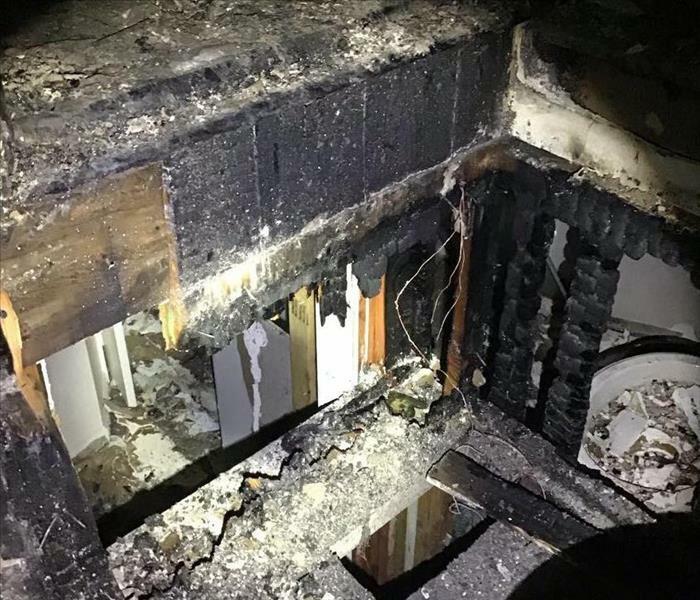 No matter how small, soot, smoke and ash can creep into every crevice of your home, leaving a fine film over surfaces, ash everywhere and a lingering odor. It is easy to feel overwhelmed and not know where to turn to or whom to ask for help. 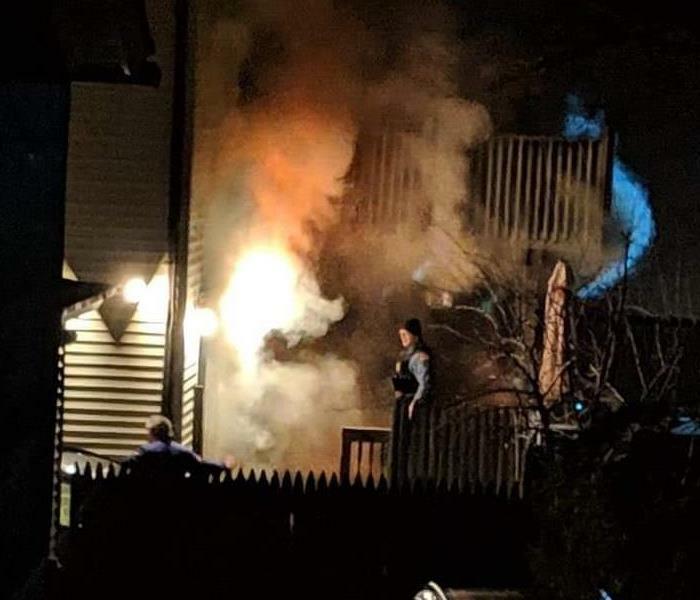 Having a fire in a structure next to your home can be just as devastating, as fire may destroy siding, smoke and ash may enter your home and water used to put out the fire next door can also affect rooms in your home as well. It can be just as traumatic not knowing what to do or whom to turn to. 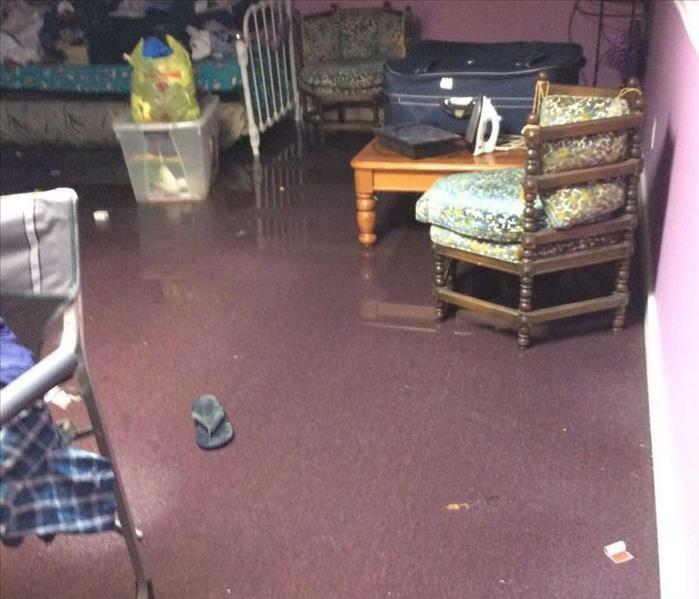 SERVPRO of Hackensack/Little Ferry is here to help. We have certified, experienced and professional technicians who will come to clean and deodorize – finding every place soot and odor can hide. We are also experts in content cleaning like furniture and have services that can clean documents, photos, artwork, rugs and window treatments. We can tarp your home where damage has occurred or board up windows and doors if needed. Here at SERVPRO of Hackensack/Little Ferry, we’re proud to be leaders in cleaning and restoration services here in this community. Our team of advanced technicians has all the specialized knowledge, training, and equipment necessary to handle any size disaster. But rather than cleanup after a disaster, we’d like to help you prevent major damage from occurring in the first place. If you have a drain clog, try using a drain snake rather than a chemical cleaner as a snake is typically both more effective and less hazardous. Clean your gutters regularly and be sure to check them after heavy storms to make sure water is flowing properly. Adjust your HVAC settings to a lower setting while your away to prevent pipes from freezing during cold weather. While it’s not always possible to prevent water damage, these tips can help minimize your chances of having to deal with a major water-related emergency. 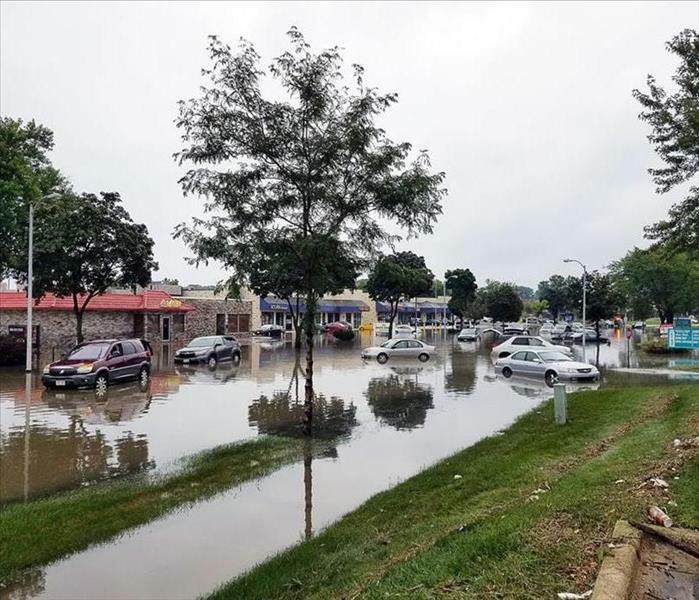 And if something should happen, know that SERVPRO of Hackensack/Little Ferry is available 24/7 to help deal with any size water damage problem, large or small. Keep humidity levels below 50% at all times. Rooms that get damp, like bathrooms and kitchens, should have ventilation, including an exhaust system, to keep humidity down. Also, don’t use carpeting in these areas. Make sure to clean bathrooms and kitchens with cleaning products that kill of mold. During humid weather, make sure to use an air conditioner or dehumidifier. Consider using mold inhibitors that be added to paints. According to the Center for Disease Control, you should not attempt to clean-up mold that is more than 10 square feet in size. If your mold problem is small, in many cases it can be cleaned from hard, non-porous surfaces using soap and water or a mixture of one cup bleach to one cup water. Make sure to open doors and windows to provide air ventilation and be sure to wear protective gloves and eyewear. 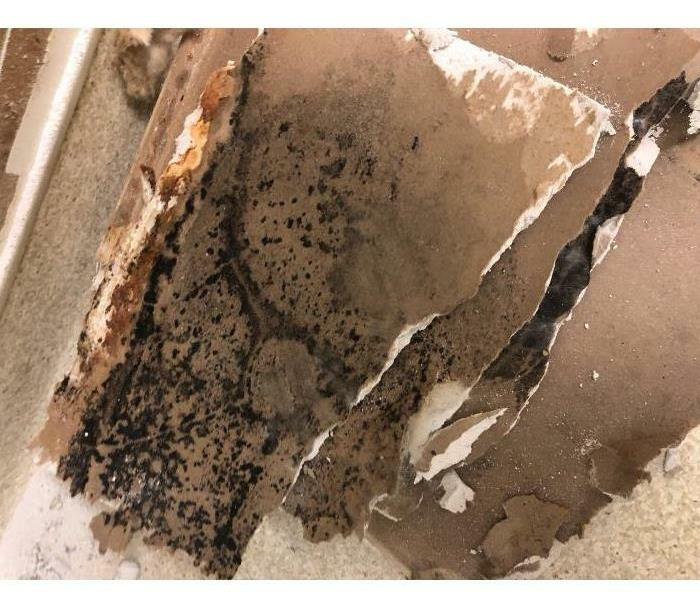 Note: it is important to both clean and dry the area thoroughly as allergic reactions to dead mold are possible, and you want to make sure to remove the entire source of the moisture. If mold is problem or if you have any questions or doubts, your best bet is to call a professional like SERVPRO of Hackensack/Little Ferry. 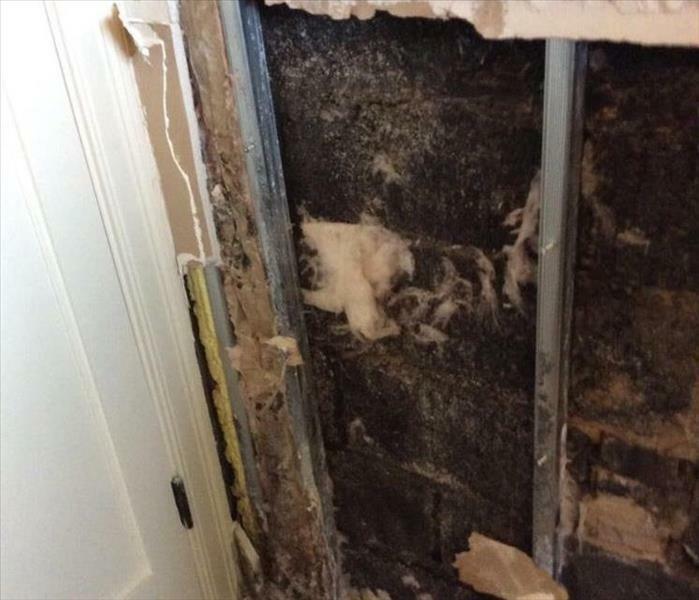 We can start the remediation process as soon as you contact us, and our specially trained mold damaged specialists can quickly get your home or business back to normal with the training and expertise required to effectively handle your restoration needs. SERVPRO of Hackensack/Little Ferry is always available to help home and business owners take care of water, mold and fire disasters quickly and thoroughly. SERVPRO of Hackensack/Little Ferry is always available, any time of day or night, weekends and holidays. You never have to worry when you call us, we will be there and make your home "Like it never even happened" quickly, thoroughly and professionally. More fires occur during the winter months than any other time of the year. During the cold weather season, people tend to find extra ways to keep warm. Unfortunately, many alternative heating methods can also be fire hazards, especially when caution is not used. 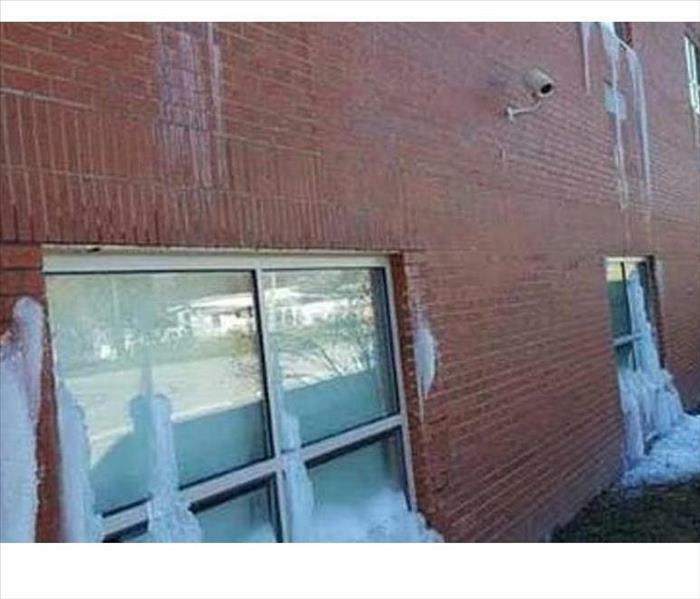 It’s generally a good idea to regularly check the alarms each year. It’s also wise to double-check the alarms before you start a fire or use a heating element, just in case. Here at SERVPRO of Hackensack/Little Ferry we pride ourselves in being community leaders in both fire prevention and fire damage restoration. Our company is not only locally owned and operated, we’re also part of a nation-wide network of franchises with specialized Disaster Recovery Teams that handle fire catastrophes. We know how devastating a fire can be – and, unfortunately, the tips for prevention are often not talked about as much as they should be. We want to help change that.